Project Project gallery continues its singular offerings of alt art in the Metro with ROUGH TRADE featuring new works by Lincoln, Nebraska artist Larry Buller. 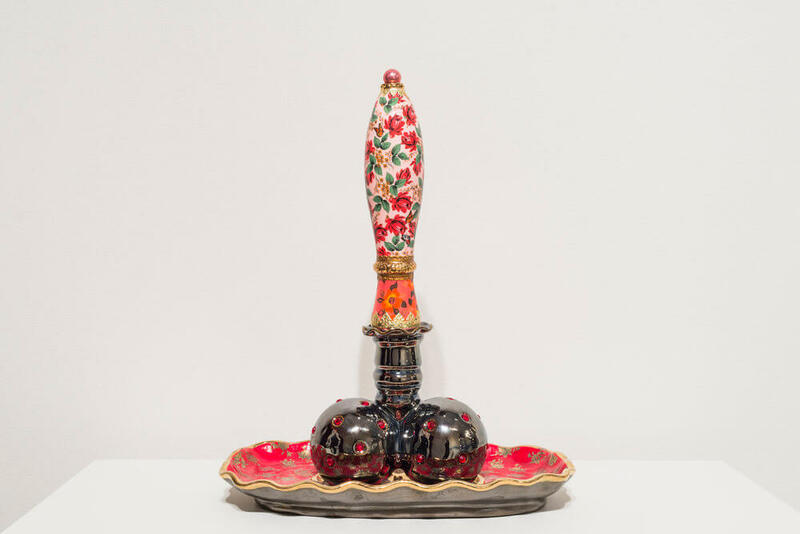 The show statement characterizes Buller’s ceramic sculptures as existing “some place in time between the present day and an alternate, super-gay past. The artist creates work that highlights the dichotomy between function and non-function, vulgar and tasteful and chaste and sensual. He invites the viewer to delight in the highly decorative nature of his work while questioning previously held beliefs regarding the nature of sexual expression and the role that ceramics can play as change agent in society. Rough Trade opens tomorrow, Friday, April 13 from 6-10 p.m. at Project Project, 1818 Vinton St. For show details and gallery hours, go to projectprojectomha.com.